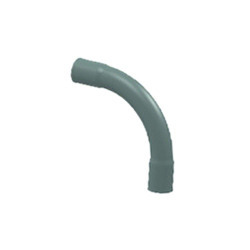 We are engaged in offering commendable PVC Pipe Elbow. Manufactured to impeccability, these products conform to the defined parameters of the industry. Furthermore, to cater to the divergent demands of the clients, we offer these couplings in different sizes and designs that can be customized as per the requirements. With firm commitment to quality, we are involved in offering Electrical Bends. These bends are developed with utmost precision by making use of high-grade basic PVC material and machinery. To cater to the diversified demands of the clients, we offer these products in different sizes (19mm & 25mm) and designs. 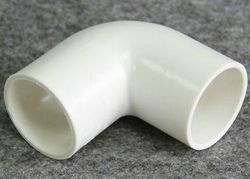 Looking for Molded Electrical Pipe Bends ?